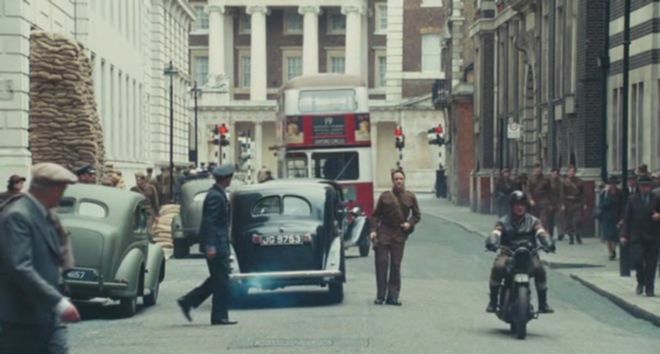 IMCDb.org: AEC RT in "Atonement, 2007"
The car behind the uniformed man is a Humber staff car. The bus is probably the preserved AEC STL from the Cobham bus museum. the army Austin is the same which appears elsewhere, including being abandoned on the Dunkirk beach.